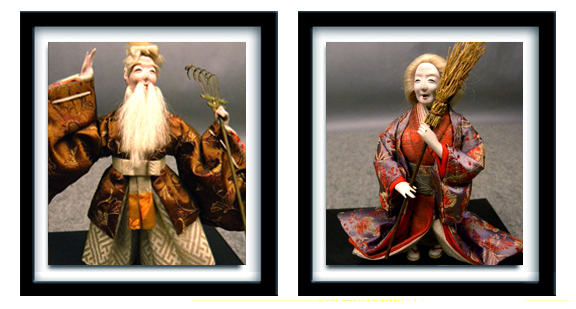 Jo and Uba are an elderly couple from the Noh Play Takasago, guardians of the pine forest where sacred trees grow intertwined as couples. Jo rakes and gathers their needles to ensure marital longevity while Uba sweeps away divisive spirits. 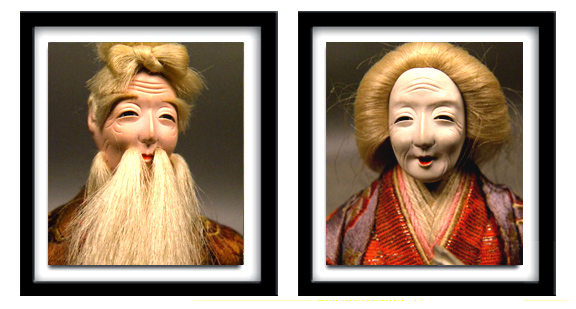 The couple is said to bring good luck to a marriage.